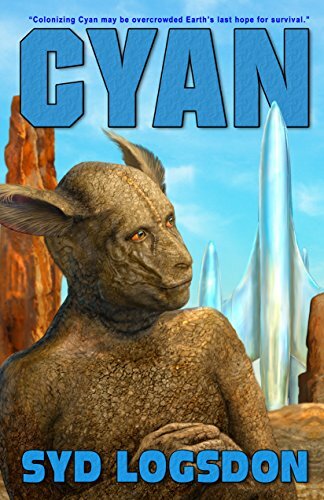 Cyan was released in a sequence. First it was available in March for pre-order from Amazon. On April 17, it was released, but exclusively from Amazon. Today, it becomes available everywhere. If you do your reading on another tablet, in EPUB or another format, you can finally download. I thought the only hard copies available would be the fifty print-on-demand copies I took with me to Westercon, however once I made the POD order, they became available to everyone. I didn’t see that coming. This entry was posted in A Writing Life and tagged Cyan, science fiction, writing on July 17, 2017 by sydlogsdon.